Whether a Dehumidifier or an Air-Purifier, we have the right solution just for you. Our Winix Ultimate 5 Stage Air Purifier: the Product Review 2019 Air-Purifier Awards WINNER! We provide custom solutions for jobs of all sizes. From Domestic to Commercial applications & everything in between, with wholesale distribution options for all situations. Ausclimate provides you with the highest quality range of Dehumidifiers & Air-Purifiers for a dryer, cleaner & healthier indoor climate. We highly value our customers and pride ourselves on providing the best customer service and ongoing after-sales support in the market. 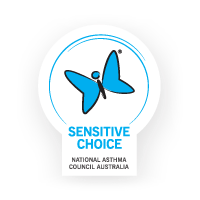 Ausclimate’s range is the most effective & economical answer to moisture control & clean air in Australian homes. check us out in your own words! "Wow! the 35 litre dehumidifier works amazingly well! It quickly, cheaply & easily removed the moisture, mould and musty smells from my ground level rooms! ... Thanks again, I appreciate your expert, personal service & don’t hesitate to recommend you to anyone who has a moisture problem!"